It's just a few weeks into the New Year and we're already waist-deep in new games. February began with the surprise announcement-slash-launch of the excellent "Apex Legends" on PlayStation 4, Xbox One, and PC. The game is already a breakaway hit, with over 10 million players. Several other blockbuster titles are expected in the coming week, including "Crackdown 3" and "Anthem. 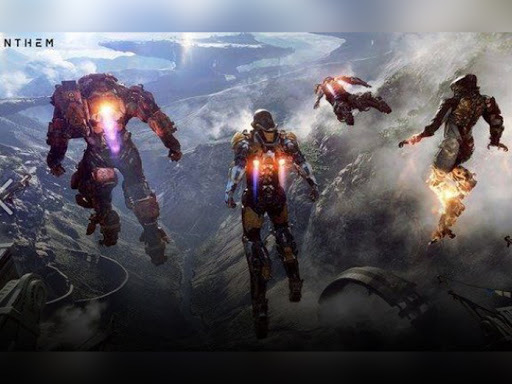 "Another trio of blockbusters is expected to arrive - spearheaded by the highly-anticipated "Anthem" from EA's Bioware team - and there's no slowing down after that! Here's the rundown of all the biggest games of the year's shortest month, February. It's a free-to-play shooter centred around a Battle Royale mode! It's available on several gaming platforms! It's full of colourful loot! Actually, "Apex Legends" is a very different game in the same genre as "Fortnite." If you've played the "Titanfall" games, you'll feel at least some dash of familiarity with "Apex Legends." Simple reason is that "Apex Legends" is made by Respawn Entertainment, the EA-owned studio that made the "Titanfall" games. In fact, "Apex Legends" is sort of a "Titanfall" game, albeit one without wall-running or giant, hulking robot suits. What it lacks in that stuff, it keeps in an excellent first-person shooting. Above everything else, "Apex Legends" is a really, really great multiplayer first-person shooter. It's a Battle Royale game. And yes, it's a free-to-play game, with all the baggage that phrase comes with. But, more than anything, "Apex Legends" is a best-in-class first-person shooter. A new "Far Cry" game? Is this the one that was released out, like, in 2018? Yep! That game was "Far Cry 5," and it was released in late March on PlayStation 4, Xbox One, and PC. The open-world first-person shooter was set in America for the first time ever and featured a new antagonist: a maniacal cult leader with nuclear ambitions. "Far Cry New Dawn" is a sequel to that game, set in a post-apocalypse Montana 17 years after the events of "Far Cry 5." The trailer alludes to a period of extreme weather following a nuclear detonation, eventually leading to a new world — a world where people shoot sawblades from crossbows, it seems that. 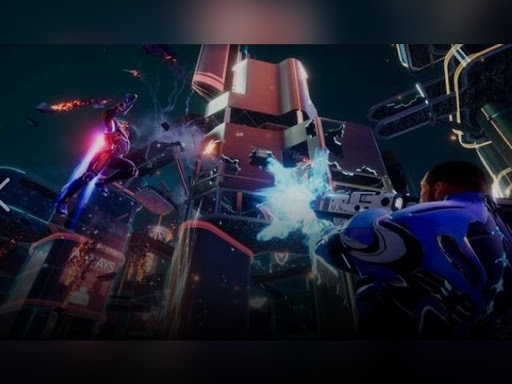 "Crackdown 3" has been there for years, having been delayed several times. As the name tells, it's the third game in the open-world, third-person action "Crackdown" series. But this time, apparently, it stars Terry Crews? The series is big on mobility enabling you to go anywhere you feel like and on huge explosions. It looks like the third game in the series is similar in this respect. Do you know "Iron Man"? The man in the robot suit who flies through the air? Robert Downey Jr. plays him. "Anthem" is basically an "Iron Man" game, albeit one that's entirely removed from the world of Marvel. You control a human inside of a robot suit, a "javelin" in the parlance of "Anthem" and you get to do a lot of shooting. Sometimes you're shooting humanoid enemies, sometimes it's types of animals, and sometimes it's a giant that shoots heat-seeking firebombs. All of which is to say this: "Anthem" is a third-person shooter that's set in an online-only, multiplayer-focused open world. It's a lot like "Destiny," but with jetpacks. Just like other video games, the "Metro" series is set in a post-apocalyptic wasteland. Unlike many of those games, "Metro" is set in Russia. It envisions a wasteland shaped by nuclear radiation, dwindling resources, and unpredictable, extreme weather conditions. It's a game about nuclear monsters, survival, and humanity. It's also a first-person shooter, so we can expect lots of shooting. 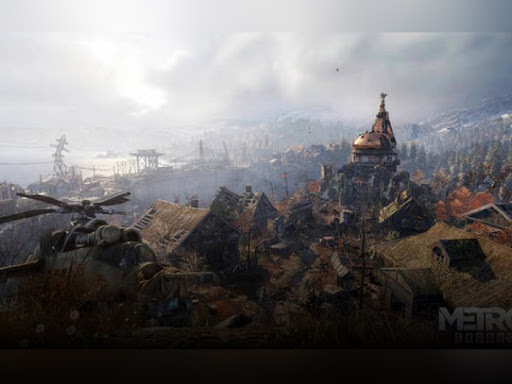 In "Metro: Exodus," the series finally exits the underground subway tunnels of previous games for higher ground. What you'll find there remains to be seen, but we're betting it's gruesome. At this point the "Trials" series is years-deep, and it's still a surprising delight. The game is pretty straightforward: Carefully pilot a dirt bike through precarious stages that are rife with traps and pitfalls.